Please stay informed throughout the school year. The following are announcements posted by the counseling department. Remember to continue staying informed by checking power school, reaching out to teachers, and checking the counseling corner website. More winners to be announced in the Spring. Attention students: CAL Day is UC Berkeley's annual open house. EBHS is a free 6-month program that provides Black, Latino, & Native American rising juniors (class of 2019) with mentors, tools, and resources to complete a competitive UC college application and the opportunity to get a close, personal look at UC Berkeley. Attention Parents and Seniors: We are hosting a second cash for college night at Kennedy High School on Wednesday February 7th from 6-9 pm in the cafeteria. Don't miss out on this opportunity to receive help on your financial aid application. See attached flyers with details. Join the unique opportunity to gain firsthand knowledge of our democratic process by working directly in the office of an elected official or government departments and agencies in the East Bay and San Francisco areas. The TOPPING SCHOLARSHIP is provided by the Norman Topping Student Aid Fund (NTSAF) at the University of Southern California (USC). The purpose of the NTSAF is to assist students with high financial need who demonstrate an extraordinary level of community awareness in their pursuit of higher education at USC. First-generation college students and local area applicants are given primary consideration in the scholarship selection process. However, please note that the scholarship is not limited to these populations. Juniors and Seniors, are you in need of making up credits to be on track to graduate??? Do you need to make up a grade for your A-G requirements? Counselors are now accepting applications for Edmentum (online credit recovery program). Please pick an application from your counselor. Come to the College and Career Center for one-on-one help completing your FAFSA and Richmond Promise Application. This event is designed to empower families with information and resources to help achieve educational success. 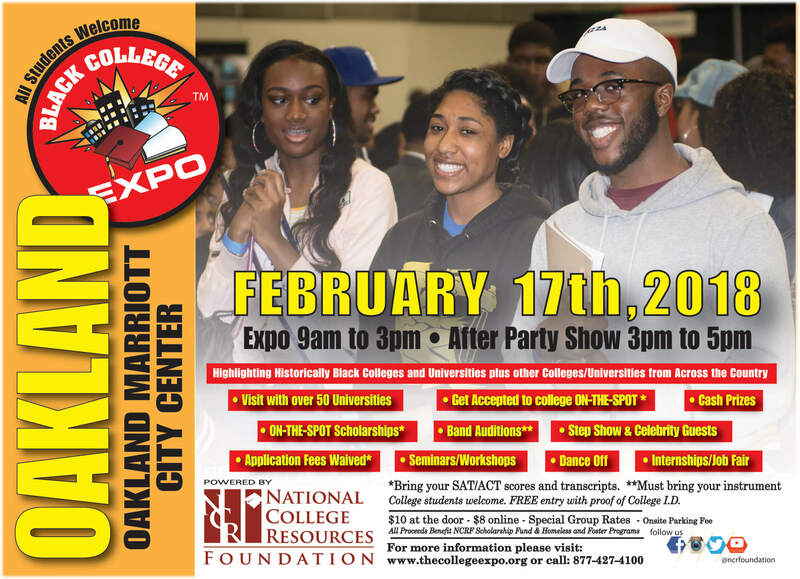 There will be inspirational speakers, higher education related workshops for Middle, High School and Community College students and their families and a college resource fair.